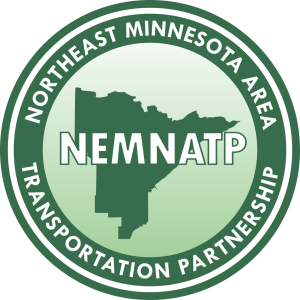 The Northeast Minnesota Area Transportation Partnership (NEMNATP) is a group convened by the Minnesota Department of Transportation (MnDOT) and the Arrowhead Regional Development Commission (ARDC) to prioritize the use of federal transportation funding and guide regional transportation planning efforts in Northeast Minnesota. The Partnership includes transportation professionals and representatives from an eight-county area (Aitkin, Carlton, Cook, Itasca, Koochiching, Lake, Pine, Saint Louis) of Northeast Minnesota. The Transportation Alternatives (TA) Program Task Force serves as a task force of the NEMNATP. Want to join us? Sign up to receive meeting notifications right to your inbox!